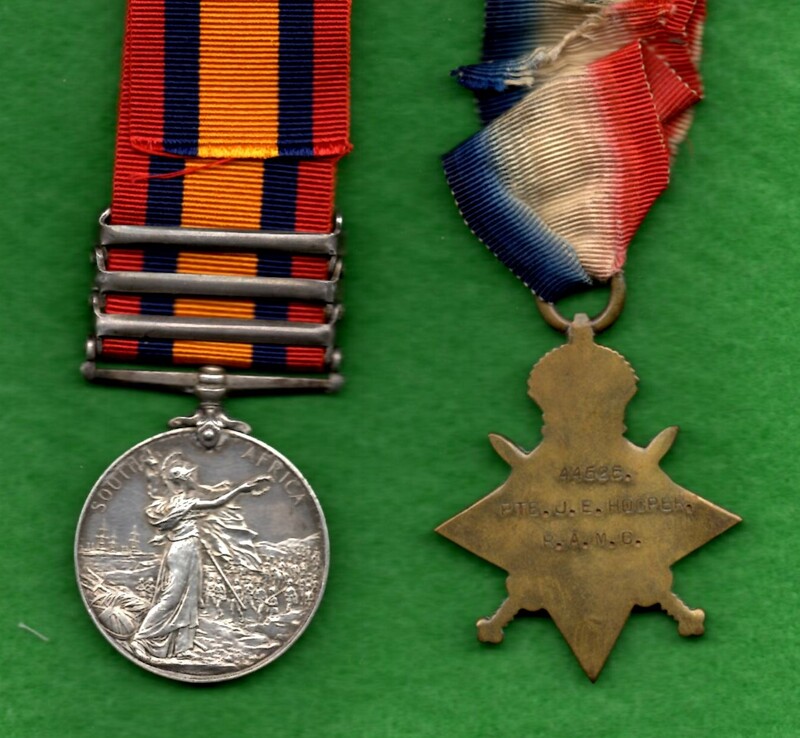 Queens South Africa Medal clasps Cape Colony, Transvaal, Wittebergen, 1914-15 Star. QSA named to 10557 PTE. J.E. HOOPER. R.A.M.C. 1914-15 Star named to 44526 PTE. J.E. HOOPER. R.A.M.C. James Ernest Hooper born c.1871 in Worcester, enlisted in 1894 into the Royal Army Medical Corps. He served in the Occupation of Crete campaign of 1897-98, then during the Boer War after which he left the Army and emigrated to America. 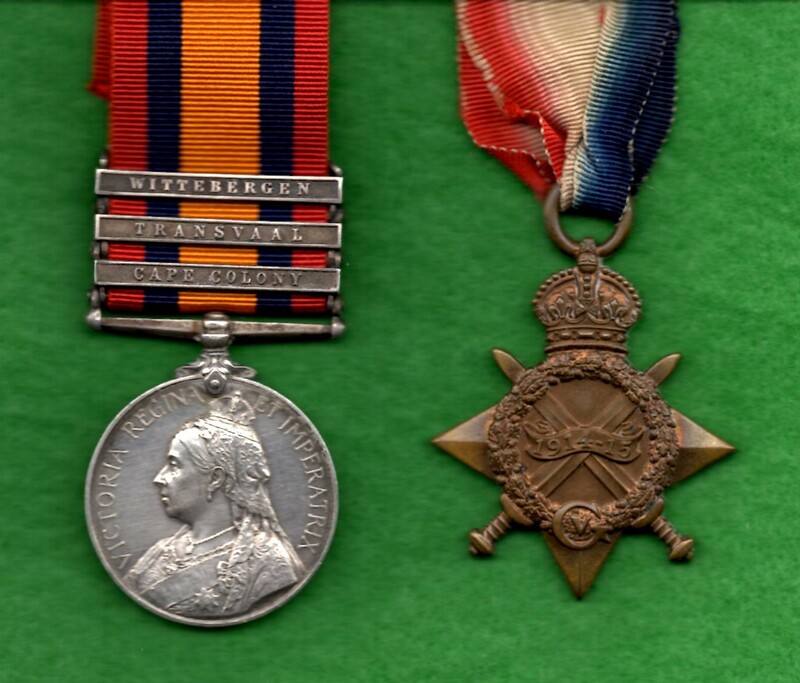 Upon the outbreak of the First World War he hastened back to England and re-enlisted as 44526 in the RAMC. Sadly James died of his Wounds 10.8.1915 aged 45. whilst serving with the 17th Filed Ambulance.